Product code: ES8248 Categories: Sold Items, Sold Jewellery. 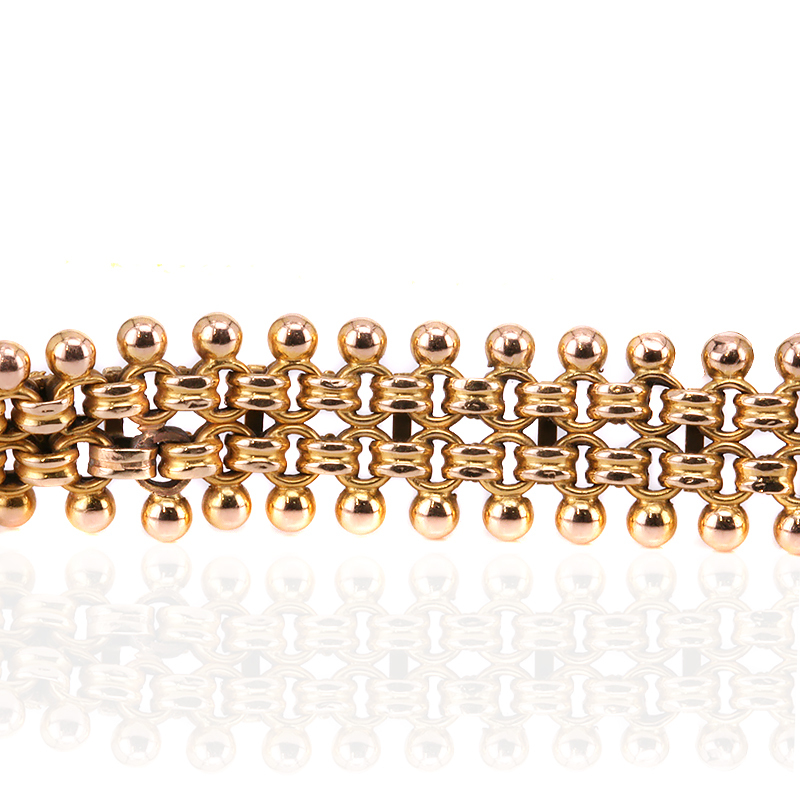 Perfect for day or night, this very beautiful antique Etruscan bracelet in 15 carat gold sits and looks perfect on the wrist and will always be admired for its beauty and elegance. Dating from the 1880’s, the bracelet has the most incredible and beautiful design that is made even more astonishing when you consider that it is over 130 years old and can still so easily be worn on a daily basis. Measuring 1.6cm wide by 19cm in length, the clasp is not only fitted with a safety chain for added security, but it also fits discreetly into itself. The design of this bracelet is so unique and unlike anything made today making it even more special.